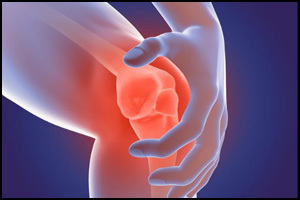 The British Society for Rheumatology biologic DMARD safety guidelines in inflammatory arthritis aims to provide evidence-based recommendations, which do not imply a legal obligation, for the safe prescription of biologic therapies approved by NICE for the management of inflammatory arthritis. This guidance supersedes the previous BSR/BHPR antiTNF, rituximab (RTX) and tocilizumab (TCZ) guidelines and has been developed in line with the BSR Guidelines Protocol. It covers safety recommendations for all biologic therapies approved by the National Institute for Health and Care Excellence (NICE), for use in all inflammatory arthritides [RA, PsA and axial SpA (SpA) including AS]. 1. All patients should be reviewed for drug safety in a specialist department at least every 6 months. High-risk patients (e.g. those at high risk of TB) should be reviewed every 3 months. 2. Patients prescribed a biologic (other than TCZ) without concomitant csDMARD (or with csDMARDs that do not require blood test monitoring), should have monitoring blood tests (FBC, creatinine/calculated GFR, ALT and/or AST and albumin every 36 months. 3. Patients receiving csDMARD may require more regular laboratory monitoring (as per BSR/BHPR non-biologic DMARD guidelines, 2017). 4. Patients receiving RTX should have serum immunoglobulins (especially IgG and IgM) checked prior to each cycle of RTX. Clinicians and patients should be aware that the risk of infection increases as serum IgG levels fall below normal. 5. Patients receiving i.v. or s.c. TCZ, with or without MTX, should have laboratory monitoring every 4 weeks for neutrophils and ALT/AST (grade 2B). Blood tests should ideally be in the week before i.v. TCZ, and in the 3 days before every fourth s.c. injection. Any decision to halt treatment should be made in accordance with the guidance in the TCZ SPC. 6. Patients receiving TCZ should have their serum lipids checked at 3 months, and be treated appropriately if abnormal; they may be checked again thereafter at the physician’s discretion. (i) Patients with significant co-morbidities who are also receiving biologic therapies should have close involvement with specialists in that field. In general: (i) All biologics should be discontinued in the presence of serious infection, but can be recommenced once the infection has resolved. (i) Health-care professionals should have a high index of suspicion for atypical/opportunistic infections, especially if there is current or recent steroid use. Biologic therapy should be promptly stopped in suspected cases. Patients should have rapid access to specialist healthcare for consideration of early treatment. (ii) In patients exposed to primary varicella through a close household contact [and without a positive history of varicella zoster (chickenpox) infection or vaccination], post-exposure prophylaxis with varicella zoster immune globulin should be considered if the risks from infection are perceived to be significant. Shingles should be treated conventionally. (iii) Clinicians should be vigilant for progressive multifocal leukoencephalopathy, which has been primarily associated with RTX but has also reported with anti-TNF therapy. Treatment should be stopped if progressive multifocal leukoencephalopathy develops. Rechallenge is not recommended. (i) Patients should be encouraged to comply with national cancer screening programmes. (ii) Patients should be investigated for potential malignancy if clinically suspected and biologics should be stopped if non-basal cell carcinoma (BCC) malignancy is confirmed. (iii) Biologic therapies may be continued in patients who develop a BCC that is fully excised, after careful discussion with the patient and a risk-benefit analysis. (i) If patients develop worsening cardiac failure while on anti-TNF, consideration should be given to stopping therapy if no other explanation for worsening cardiac failure is found following input from a cardiologist. (i) Patients with ILD receiving biologics should be regularly reviewed by a respiratory physician with a specialist interest in ILD, and ideally in a combined rheumatology/respiratory clinic. Pulmonary function tests should be performed as clinically indicated, usually every 46 months. (ii) Consideration, in consultation with a respiratory physician with a specialist interest in ILD, should be given to stopping biologic therapy in patients with worsening or new features of ILD. RTX or ABA may be considered in patients with worsening or new ILD. (i) If patients develop uveitis while on a biologic, a trial of an alternative biologic could be considered, bearing in mind the latest reported relative risks. (ii) Consider switching patients with uveitis currently taking ETN to IFX or ADA. (i) Close monitoring of serum amino-transaminases and HBV DNA load is recommended in patients with occult or overt HBV infection treated with biologic therapy. (ii) Close monitoring of serum amino-transaminases and HCV RNA during therapy should be considered in patients with HCV treated with a biologic. (iii) Patients with serological evidence of occult HBV infection may require concomitant anti-viral treatment if detrimental changes in monitoring tests develop. (i) Patients with HIV receiving anti-TNF therapy require close monitoring of viral load and CD4 count. Treatment changes should be made in light of results, with guidance from an HIV specialist. (i) Biologic therapies may be continued in patients at increased risk of, or with, venous thromboembolism. (i) If psoriasis develops in patients treated with antiTNF, conventional psoriasis treatment should be started and consideration should be given to stopping anti-TNF if the skin lesions persist despite specialist dermatology input or are severe. (i) The potential benefit of preventing post-operative infections by stopping biologics (different surgical procedures pose different risks of infection and wound healing) should be balanced against the risk of a peri-operative flare in disease activity. (ii) For most biologics (exceptions: RTX and TCZ), consideration should be given to planning surgery when at least one dosing interval has elapsed for that specific drug; for higher risk procedures consider stopping 35 half-lives before surgery (if this is longer than one dosing interval). (iii) Biologics may be recommended after surgery when there is good wound healing (typically around 14 days), all sutures and staples are out, and there is no evidence of infection. (iv) For patients receiving RTX, treatment should ideally be stopped 36 months prior to elective surgery. (v) For patients receiving TCZ, i.v. TCZ should be stopped at least 4 weeks before surgery; s.c. TCZ should be stopped at least 2 weeks before surgery.